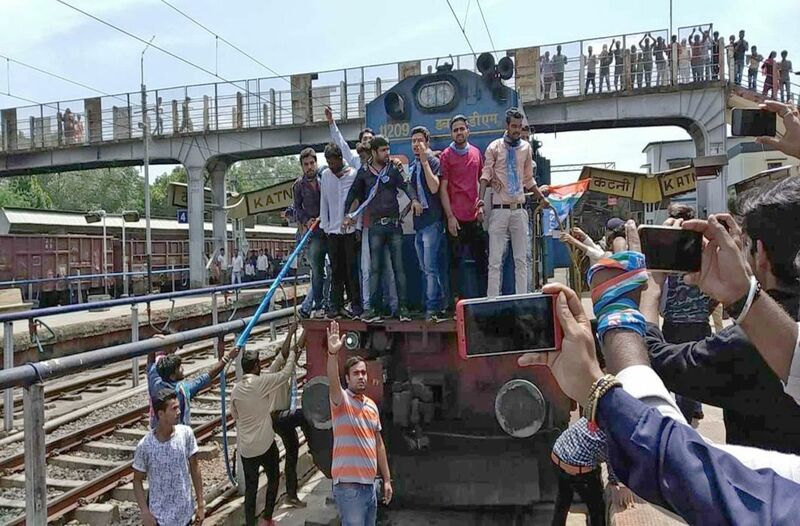 The Bharat bandh on September 7 saw varied reactions across India. While it was peaceful in Madhya Pradesh (MP), in Bihar there were stray incidents of violence. The bandh was called by anti-reservationist organisations to protest against the recent amendments to the Scheduled Castes and Scheduled Tribes (Prevention of Atrocities) Act, 1989 (SC/ST Act). In their view, the SC/ST Act is being flagrantly misused by Dalits to falsely frame the upper castes, and as a result, the conviction rate in cases filed under the SC/ST Act is very low. Though MP Chief Minister Shivraj Singh Chouhan has not reacted to this perceived victimisation of upper castes in view of the upcoming Assembly elections, his government has taken a decision that contradicts this view. Three days before the bandh, the government acknowledged in a circular that more than one-third of the cases filed under various provisions of the SC/ST Act collapse because complainants fail to provide caste certificates. To remedy the situation, the circular has asked divisional commissioners, district collectors and sub-divisional revenue officers to make the procedure of obtaining caste certificates easier. The officers have been told not to force appl­i­­cants seeking caste certificates to provide documents to prove that they or their forefathers were residents of the state before 1950. This is an important, though belated, decision because the absence of the certificate also means that the complainant does not receive monetary compensation on time. Organisations working for SCs and STs admit that obtaining caste certificates in MP is very difficult because officials demand supporting documents, which the poor, illiterate and marginalised members of the Dalit community cannot furnish. The state has already included caste certificates under the Madhya Pradesh Public Services Guarantee Act, 2010, which ensures time-bound delivery of several services. The circular states that though the SC/ST Act stipulates a 30-day period, an applicant should be issued a caste certificate within 15 days if his grandfather, father, uncle, brother, or sister possesses such a certificate. The issuance of the circular is yet another desperate attempt by the MP government to woo the Dalit vote bank. It has come at a time when the ruling BJP is facing unprecedented opposition from anti-reservationists in the state following recent amendments to the SC/ST Act. Parliament has restored the SC/ST Act to its original position, altering the Supreme Court’s alleged attempts to dilute some of its provisions. A plethora of little-known upper caste organisations have sprung up to protest against the amendments. In the last two weeks, hardly any top Congress or BJP leader has been spared the fury of protests by anti-reservationists. Be it Union or state ministers, MPs, MLAs or state presidents of major parties, all have been forced to run for cover from the upper caste protesters. They have tried to block them on streets across the state and shown them black flags. Some protesters, allegedly belonging to the Karni Sena, even hurled a slipper at Chouhan during his ongoing Jan Ashirvad Yatra in Churhat town of Sidhi district, organised to garner votes for the Assembly polls due in November or December. At the forefront of the protest is a fledgling political outfit, the SAPAKS Samaj Party. It is a motley group of serving and retired government officers and employees belonging to upper castes. The party came into prominence after the MP High Court struck down the provision for reservation for SCs/STs in promotion in government services in 2016. The Chouhan government challenged this verdict in the Supreme Court. The matter is still pending. 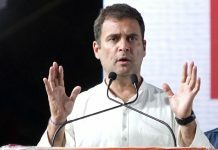 Meanwhile, the chief minister rhetorically boasted at a meeting of SC/ST employees: “Shivraj ke rehte koi mai ka lal aarakshan khatam nahi kar sakta (No one can scrap reservation as long as Shivraj Singh is the chief minister).” This boast infuriated upper caste employees who have now formed a political outfit to challenge the BJP in the assembly polls. Despite protests from the upper castes, the government is clear about which section to woo in the assembly polls. After all, Dalits and tribals constitute over 15 percent and 21 percent, respectively, of MP’s over eight crore population. Together, they account for 35 (Scheduled Castes) and 47 (Scheduled Tribes) seats out of MP’s total share of 230 seats. Out of 82 reserved seats, the BJP won 61 in the 2013 assembly elections. Incidentally, MP has the highest incidence of crimes against SCs/ STs, according to the National Crime Records Bureau (NCRB). A total of 47,338 cases of crime against SCs and STs were registered across the country in 2016, Minister of State for Home Affairs Hansraj Gangaram Ahir recently told the Lok Sabha, quoting the NCRB. Of these cases, MP accounted for 27.8 percent, followed by Rajasthan (18.2) and Odisha (10.4). Chargesheets were filed in 78.3 percent of cases and the conviction rate was 25.8 percent, the minister said in reply to a written question. As many as 6,564 cases were registered over alleged crimes against STs in 2016, and charge­sheets were filed in 81.3 percent cases where the conviction rate was 20.8 percent, the minister said. In 2014, the number of cases stood at 6,827. This fell by 8.1 percent to reach 6,276 in 2015, and then rose by 4.7 percent to 6,564 in 2016. MP reported the highest number of cases of atrocities at 27.8 percent (1,823 cases), followed by Rajasthan with 18.2 percent (1,195 cases) and Odisha with 10.4 percent (681 cases). Conviction rates for cases involving SC/ST atrocities are slightly below the all-India rate (21 percent)—STs (20.8 percent)—and are higher in cases involving SCs (25 percent). The SC/ST Act requires that a chargesheet be filed in court within 60 days. But in a sizeable number of cases, chargesheets are withheld for want of caste certificates which the complainant must mandatorily produce before the court. Additional DGP (SC/ST) Pragya Richa Srivastava reportedly said that at least one-third of the cases fall through because the complainants cannot provide caste certificates. In some cases, the accused are convicted, but not under the SC/ST Act. Legal experts say that easier availability of caste certificates may help increase the conviction rate under the SC/ST Act, but that alone will not mitigate the suffering of Dalit and tribal communities. The trust deficit between the reserved and general classes, which already exists, has widened in the wake of the amendments to the SC/ST Act. Despite the restoration of the SC/ST Act, upper castes in MP are bandying about the Supreme Court order which had diluted some of the provisions of the SC/ST Act in April this year. The Court had asserted that the SC/ST Act had become an instrument of “blackmail” and was being used by some to exact “vengeance” and satisfy vested interests. Though the intention of the Court was clearly to protect officers from “arb­i­t­rary arrest” and to protect “innocent citizens” from being falsely implicated in cases, data from the NCRB and the home ministry shows that the low conviction rate under the SC/ST Act is more a reflection of the manner in which investigations are conducted and cases are prosecuted in courts, than of the misuse of the provision. A report by Human Rights Watch titled “Hidden Apartheid: Caste Discrimination against India’s Untouchables” had noted that: “Dalits are frequently the victims of discriminatory treatment in the administration of justice. Prosecutors and judges fail to vigorously and faithfully pursue complaints brought by Dalits, which is evidenced by the high rate of acquittals in such cases.” Another study by EPW had noted that nearly 50 percent of the cases filed under the SC/ST Act are closed by the police and that there seems to be a “caste bias among the investigation officers”. Notwithstanding studies negating the upper castes’ misperception, the growing chasm between Dalits and the general classes has become an explosive political issue for the Chouhan government. It is sure to cast its shadow on the upcoming assembly polls. Previous storyAnticipatory Bail: Bailed out!